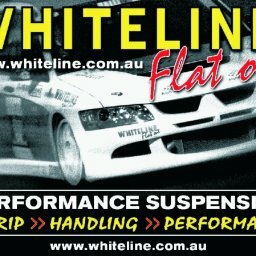 As you may know from my previous blog, I’ve got a Circuit Sports U.S.A Resonated Cat-Back and Cusco Touring A 40-step adjustable dampers with Whiteline 25mm lowering springs. 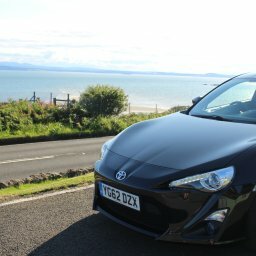 I put some more bits on the car since then and some of those bits are Peformance Friction Z-Rated Pads and National Auto Grooved Brake Discs. First, let’s go back in time to August 2017. 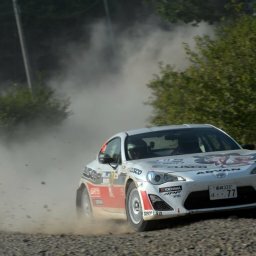 I still had the factory suspension and brakes back then. 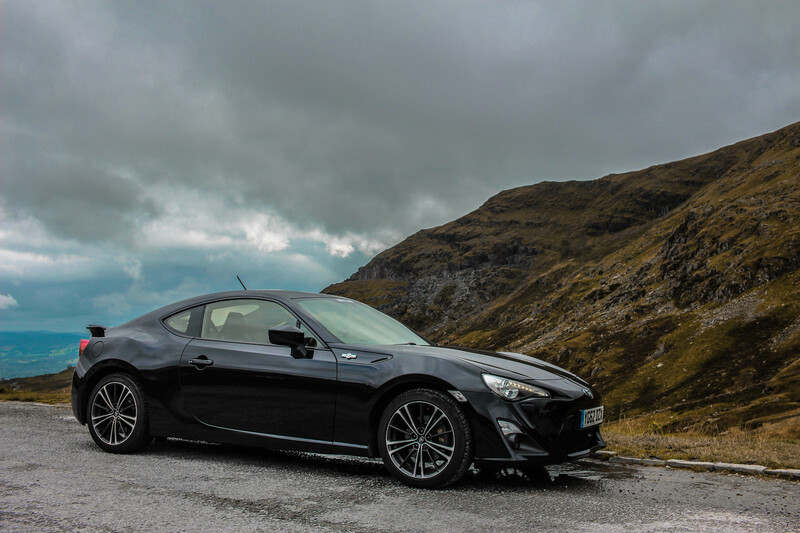 The photo above was taken in Lake District, on Kirkstone Pass to be precise. 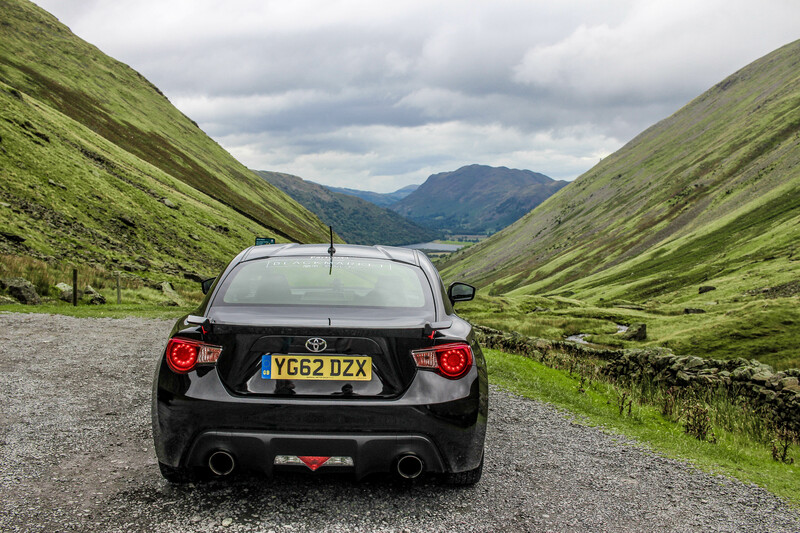 It’s a tremendous piece of road (A592) starting outside Penrith going along Lake Ullswater all the way down to Lake Windermere. This is where I started realising that my standard front brake pads are not going to be enough. 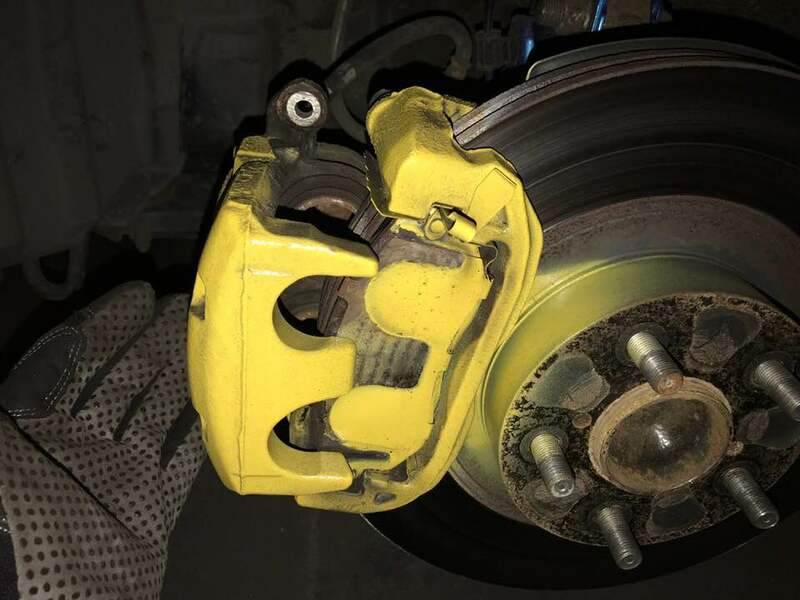 Tight roads and sharp bends with a combination of my stock brakes and spirited driving did not end up well for my pads – Yes you guessed it, I fried my pads. 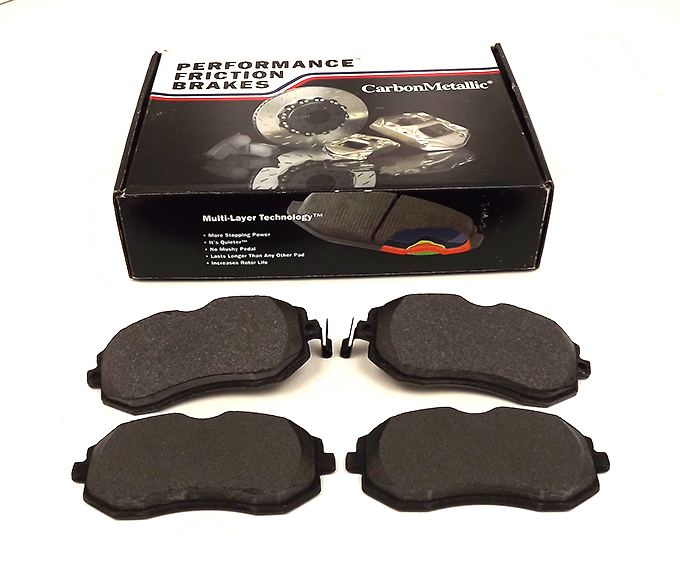 Naturally I went the “best bang for you buck” route – PFC Z-Rated brake pads which are the best option for fast road and light track applications. They are perfect for what I need. 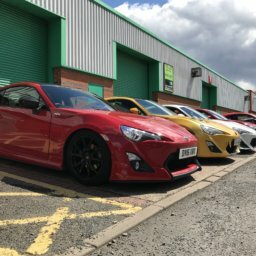 These pads are actually rated better than Ferodo DS2500 which are, hold tight, £119.30 more expensive! 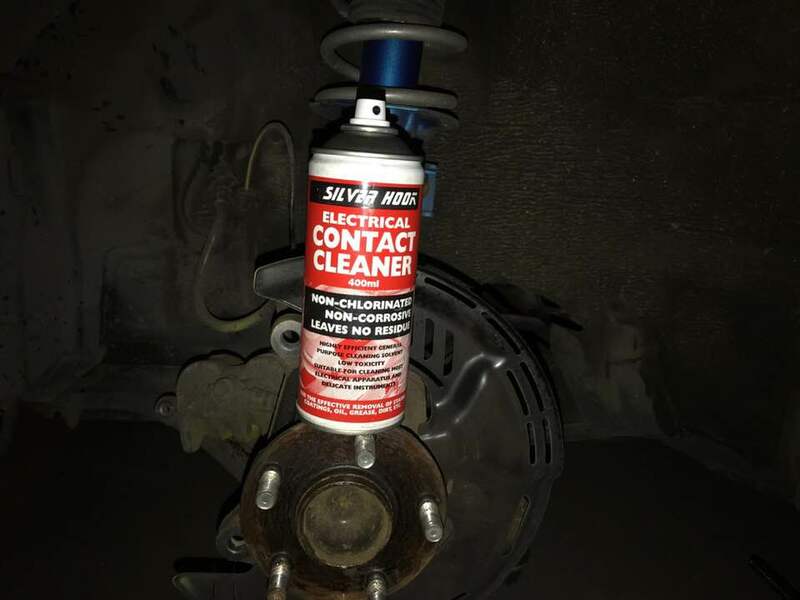 PFC Z-Rated Pads don’t make any noise, brake dusting is really low and they have a great bite even when not particularly hot and all that is highly rated when your car is daily driven. Another very attractive feature of these pads is the MUCH better heat resistance they have compared to the stock pads. And all that for amazing £57.16 which is A LOT less than competitor pads. My factory discs had almost no life left in them at that point, so I thought to myself “Why not get better discs as well?” I could have gone with factory replacement rotors as there is absolutely nothing wrong with them, but as you now know, a short session on the mountain pass made me want to improve the stock braking as much as possible without needing deep pockets. 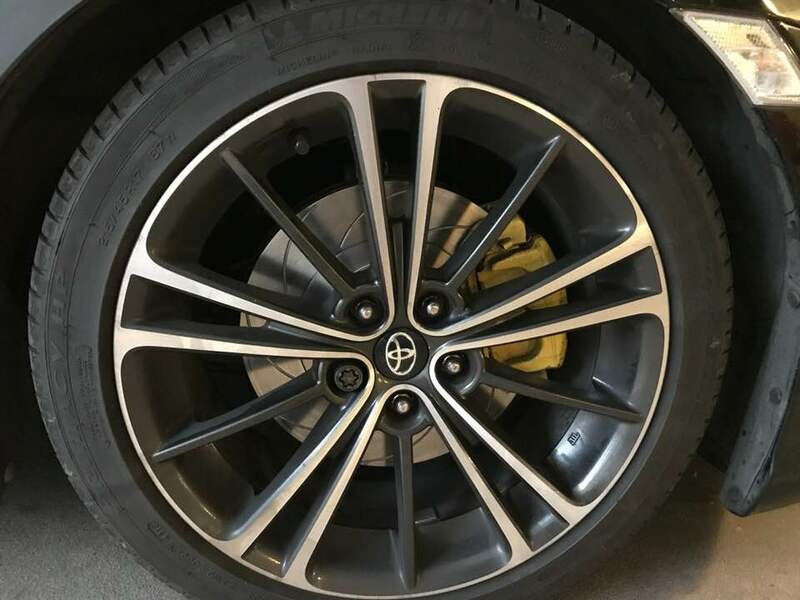 Big brake kits can very expensive, and while they are worth it, I don’t need that kind of stopping power. 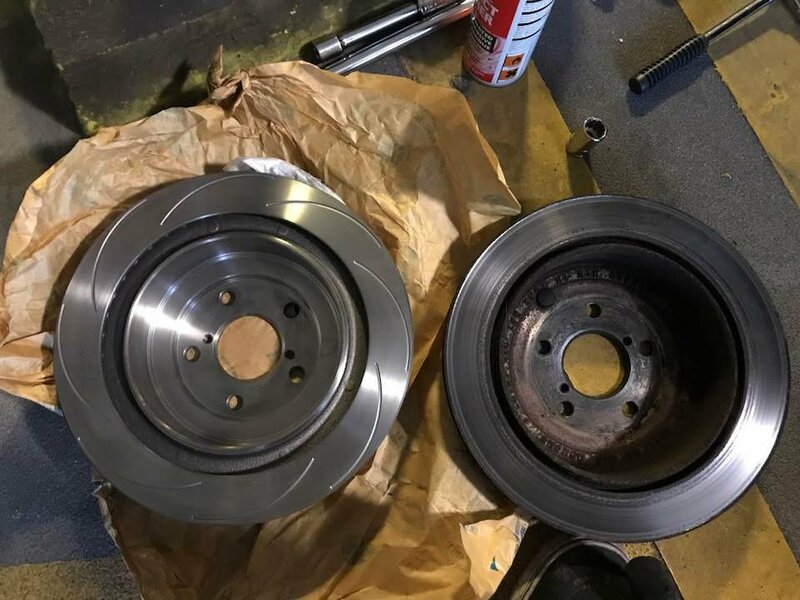 My car doesn’t get tracked very often, and while it’s still naturally asthmatic aspirated I felt like stock 295mm size National Auto 8-groove discs would do the trick. And I was correct. 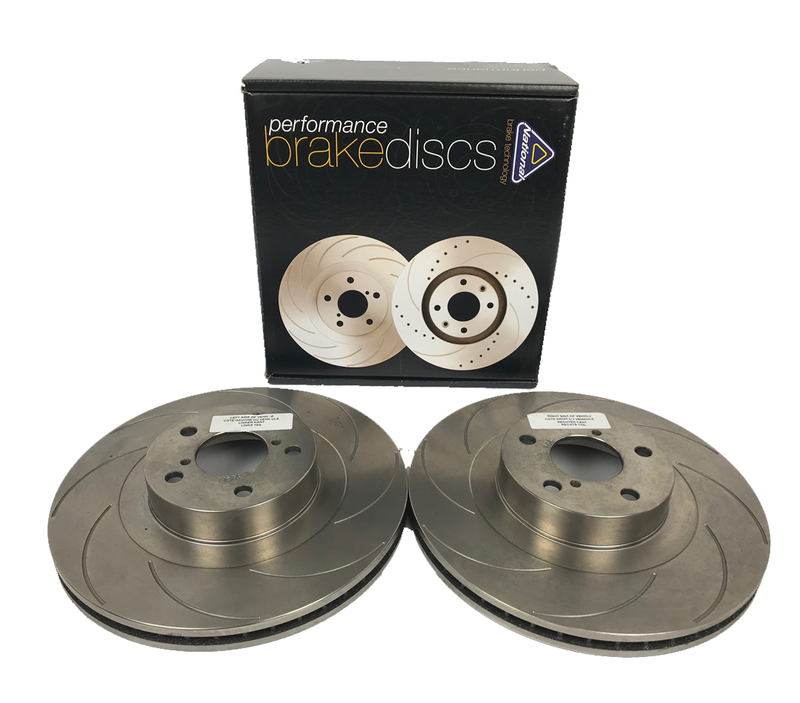 You can’t go wrong with a branded set of brake discs for £82.92. 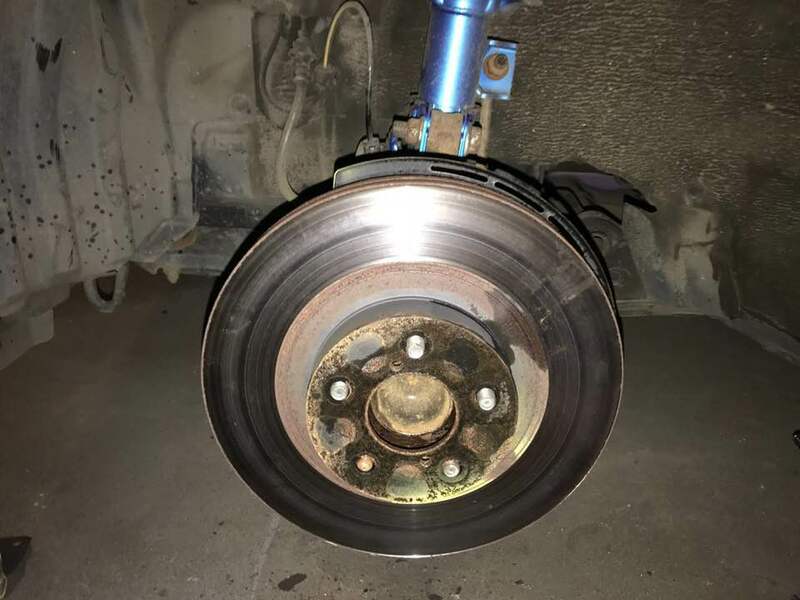 When I installed these discs, and after bedding in the pads, the braking was transformed. These grooves don’t necessarily help you with heat a lot, but definitely improve the bite by a serious amount. Suddenly you feel like you can go 70mph and stop instantly. 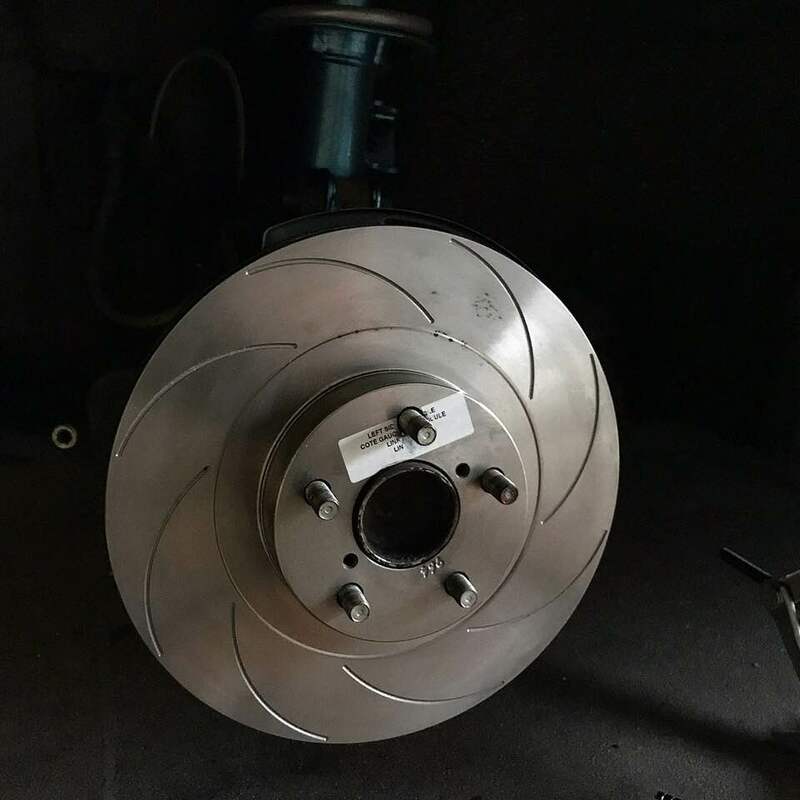 The difference between the stock brakes and these National Auto discs with PFC Z-Rated pads is immense. I will recommend this combo to anyone, because £140.08 for uprated front discs & brake pads is an absolute steal. It’s a fairly easy process, and if I can do it, I’m sure you can do it too. 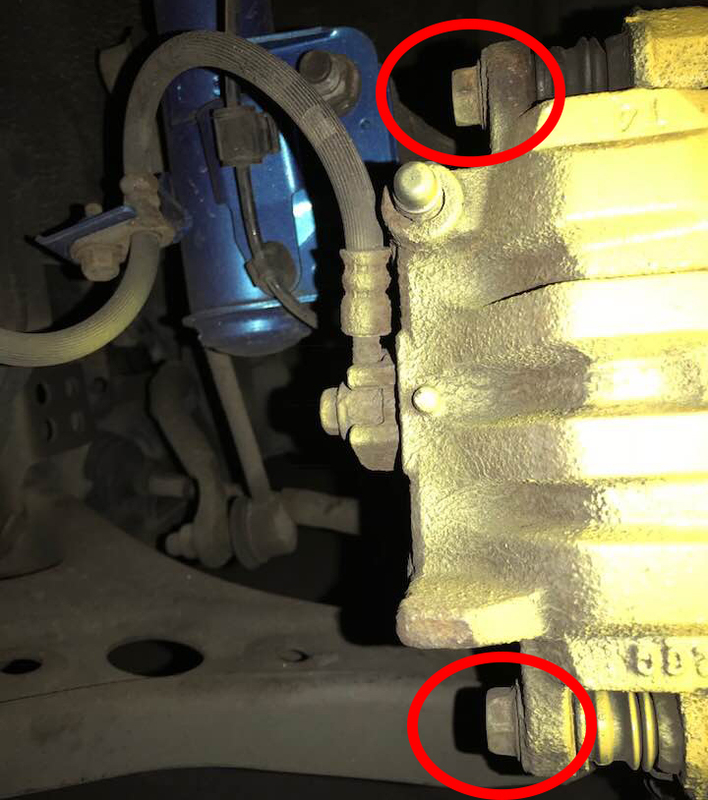 Find two 14mm bolts that are facing the engine and take them out. That will allow you to take the caliper and slide it off. I had to use a rubber mallet to get it off as the caliper pistons were making it difficult for me. 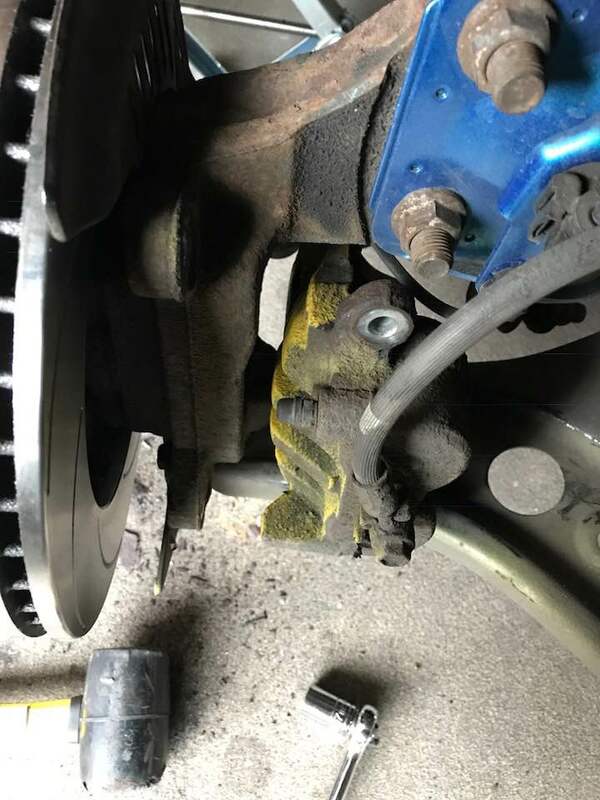 When it comes to putting the caliper back on, you might want to take a big spanner and use it as a lever to push the pistons down if you don’t have a G-clamp. 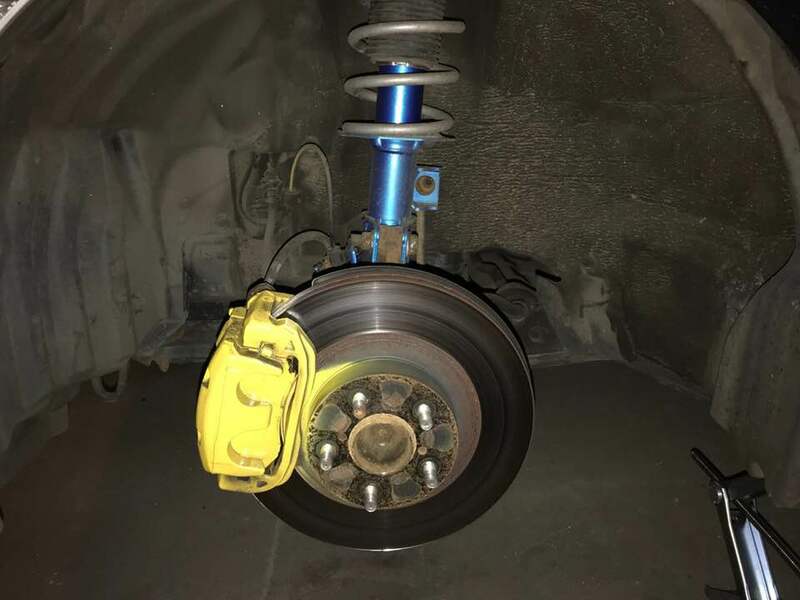 You don’t want to damage anything by letting the caliper hang on the brake line, so once it’s off, rest it on the suspension arm. 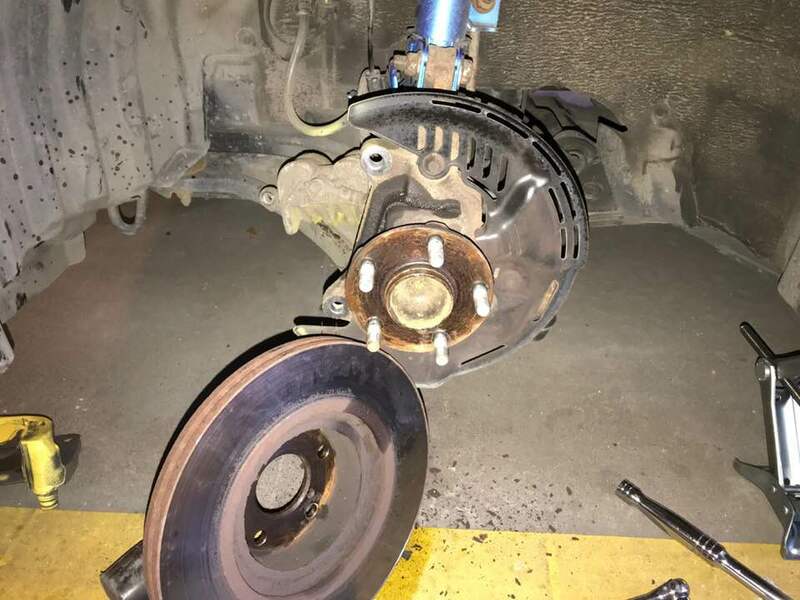 This is where you would normally change your brake pads. Just grab a flat head screwdriver and pop them out. Find two 17mm bolts that hold the caliper bracket in place and remove them. You might need to use some WD-40 on these two. 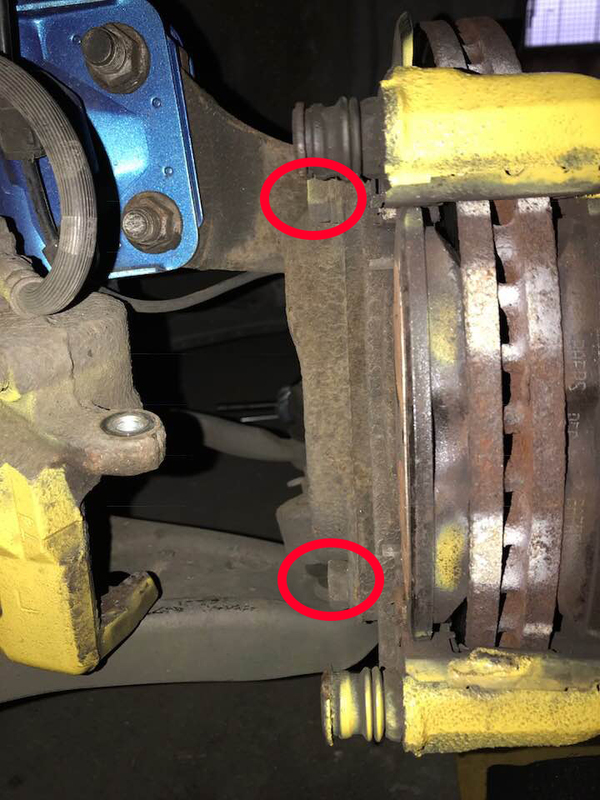 Once you remove the bolts, the bracket should just fall off along with the brake pads stuck in there, so hold it – you don’t want to damage anything. Spray some WD-40 on the studs, grab your mallet and start gently hitting the disc all round to loosen it. 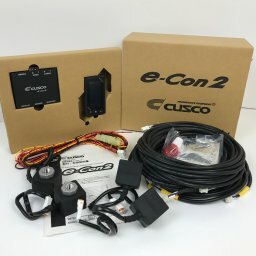 When it’s loose enough, grab it and pull.